A film and art festival in northern England, this year completely dedicated to films about mining extraction. We are fascinated by the films of Wang Bing. We’ve compiled a video program for the Gotland Art Museum in Visby. The program will run from February 8 to March 5 2014. Art videos will be shown parallell to a compilation of videos we’ve received after an open call, in which we asked for films made by anyone involved with the protests against prospected slake mining in the forrest of Ojnare in northern Gotland. Among the Ojnare videos we have for example information films made by local environmentalists, a video shot on a mobile by a woman sitting in a tree on the day the forrest was to be cut down, and five short clips shot by the police to be used as evidence against the protesters in upcoming trials. 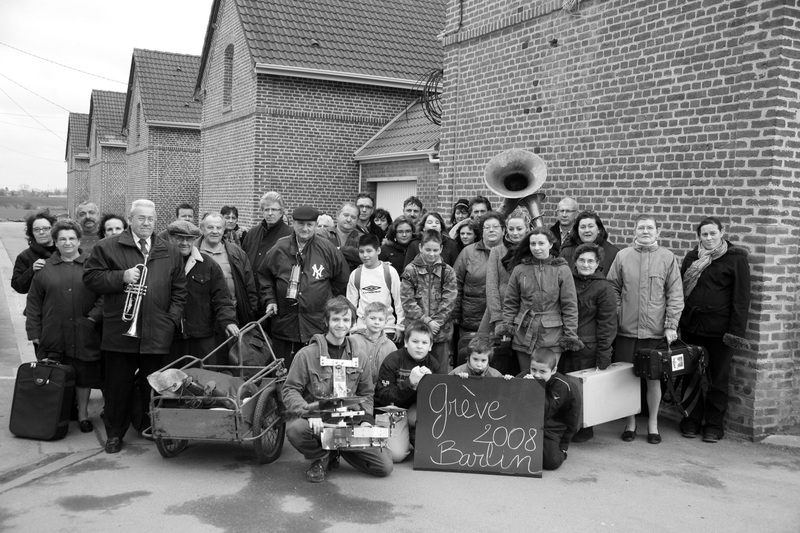 When it is announced that the mining area in northern France is due for renovation, which will lead to drastic increases in rent and effectively force people to move out, inhabitants of Barlin city n°5 in Pas-de-Calais organize the last revolt of the mining territory. Artist Bertille Bak is the granddaughter of a coalminer from Barlin. 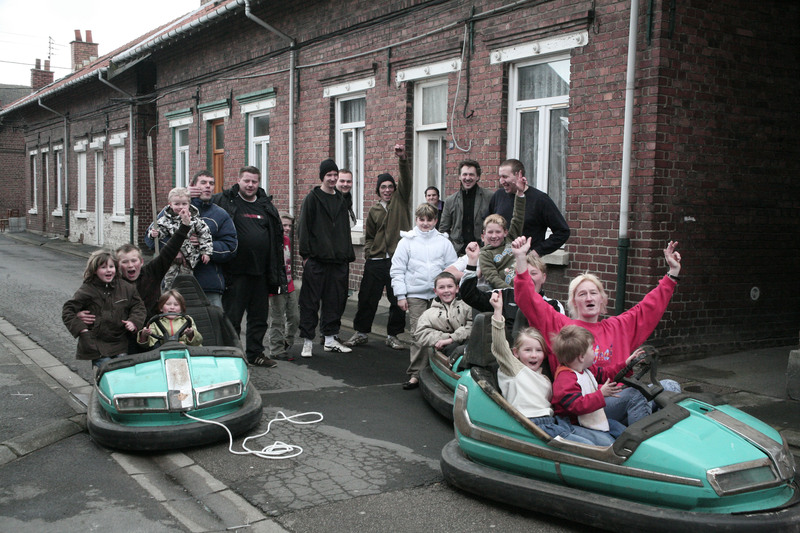 Her film Faire Le Mur shows the people of the town involved in surreal and playful acts of resistance: banners passed from house to house so that everyone can contribute with their sewing; communication lines drawn with cans and string; bumper cars borrowed from the fun fair and driven through the streets. All the while the town is under siege by construction machinery, come to tear the old houses down. The compositions in the film are based on paintings by Poussin, Goya and Girodet, classical images of revolution and lost paradises. The film documents an action from the year 2000, when Cecilia Parsberg met bookbinder and rastafari Jabulani Dube from Kimberley in South Africa. 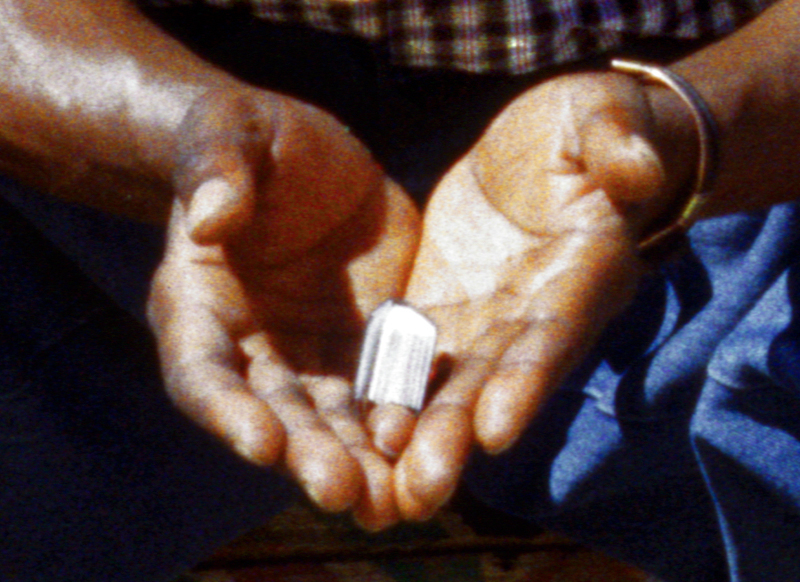 In the film we see Jabulani Dube make a copy of the world’s smallest bible, the original of which is found in Stensele church in Luleå, Sweden. Cecilia Parsberg and Jabulani Dube meet in a discussion about life in two very different parts of the world, and they decide to try to make these parts meet up also in action. Jabulani, his daughter and Cecilia travel to his hometown, where the Big Hole is located. 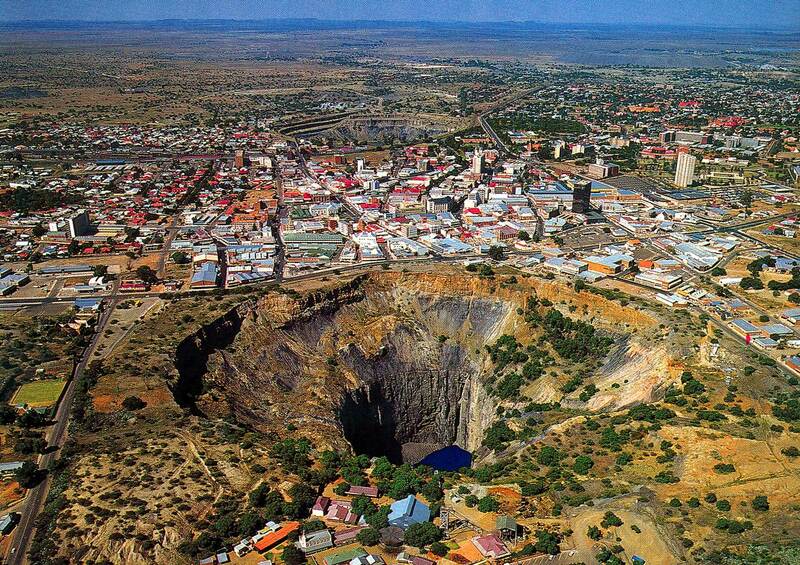 This is one of the holes resulting from diamond mining run by the De Beers company. All of Jabulanis relatives, as well as all black people from the area, have worked in the mines and dug these holes. Cecilia and Jabulani meet some people who have a small airplane, and who are open to the idea of helping them get the bible thrown in the hole. In the film we see what happens next. The Big Hole has a circumference of 1,7 km, a diameter of 460 m. The mine was active between the years 1717-1914, and 14,5 million carats of diamonds were produced. The Weavers by Anna Molska is a short film based on a play by Nobel Prize Laureate Gerhart Hauptmann written in 1892. Hauptmanns’ play portrays a revolt by weavers working in textile mills, which occurred in Silesia 50 years earlier. The film by Anna Molska is also recorded in the Silesian mountains, nowadays a region in Poland. Here, coalminers await notice of redundancies and the closing down of the mining industry. When the coalmine in Bobrek Centrum was closed, there were no protests from the miners, rather a sense of resignation. Anna Molska has used coalminers as actors, with the coalmines and the surrounding landscape as scenography. In her shortened version of the play, the revolt itself has been cut out. What is left is a dialogue amongst three men, and a doleful chorus singing at the end: ‘Oh, you villains, Satan’s spawn, you eat the bread but send hunger down’.